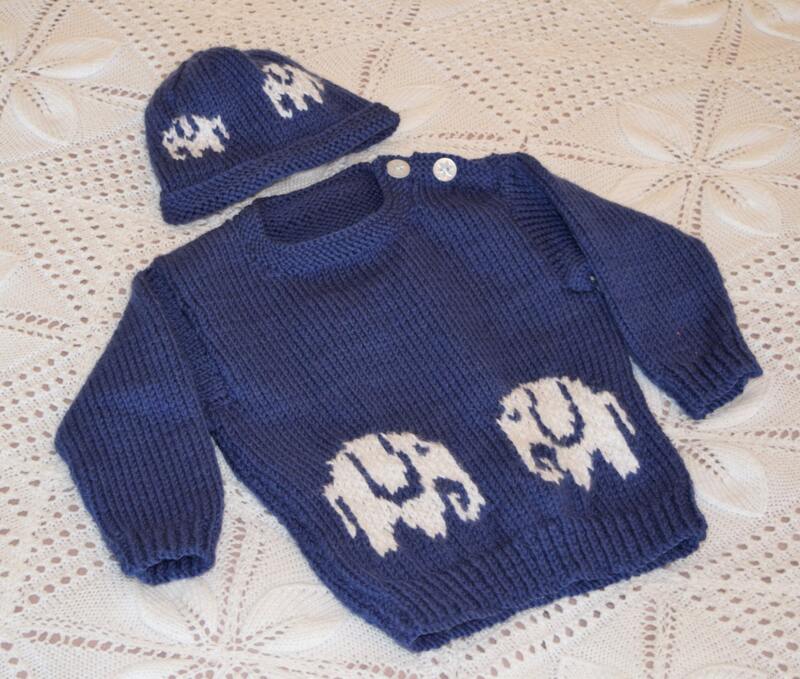 A warm and stylish Aran Sweater and Hat set featuring cute elephants for ages 3 months to 2 years. 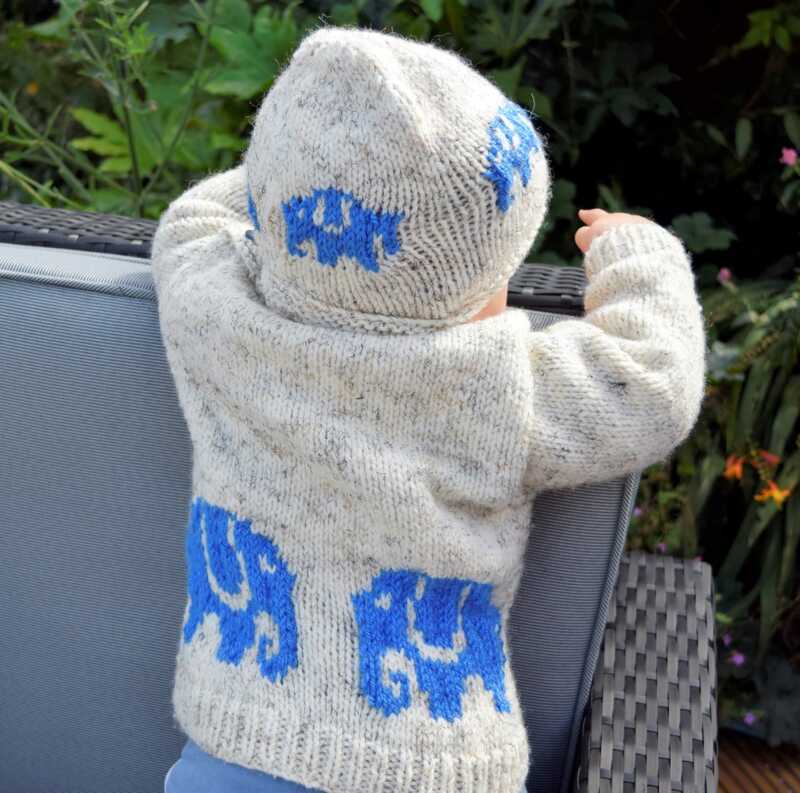 This is an easy and interesting pattern - grows very quickly and is fun to knit. 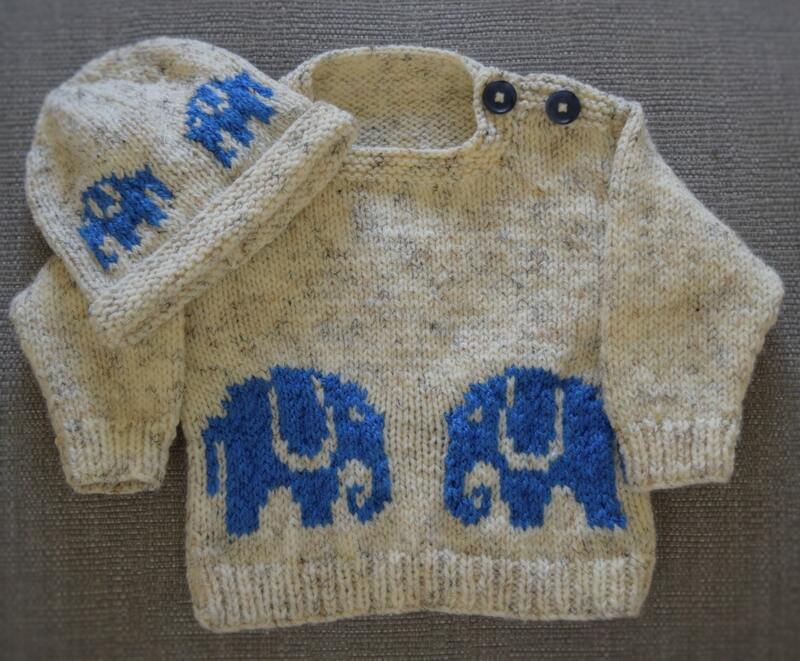 Two large elephants are knitted on the front and back of the sweater and smaller elephants go around the hat. 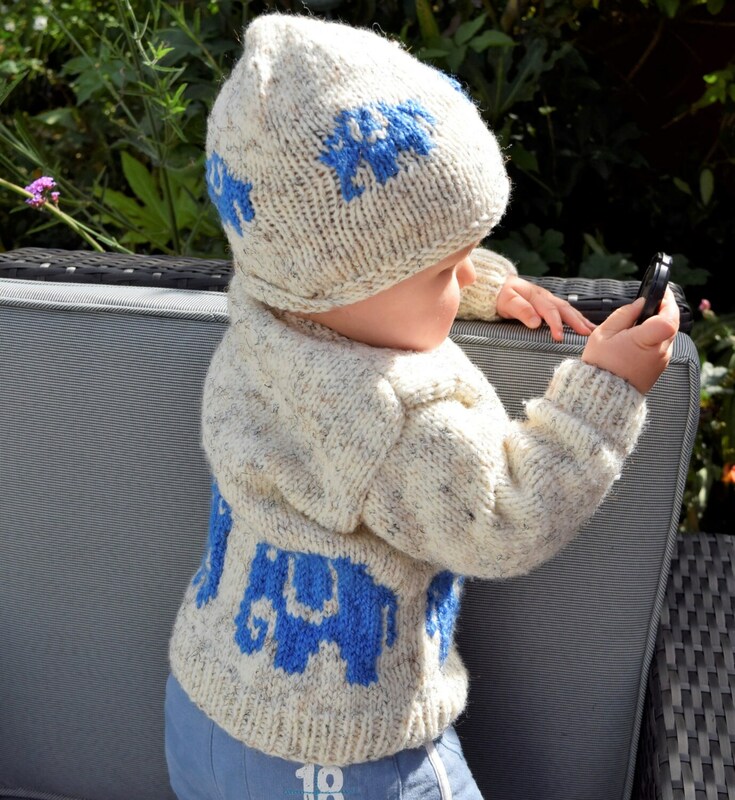 The pattern has large coloured charts for the elephants and colour coding for the different sizes. 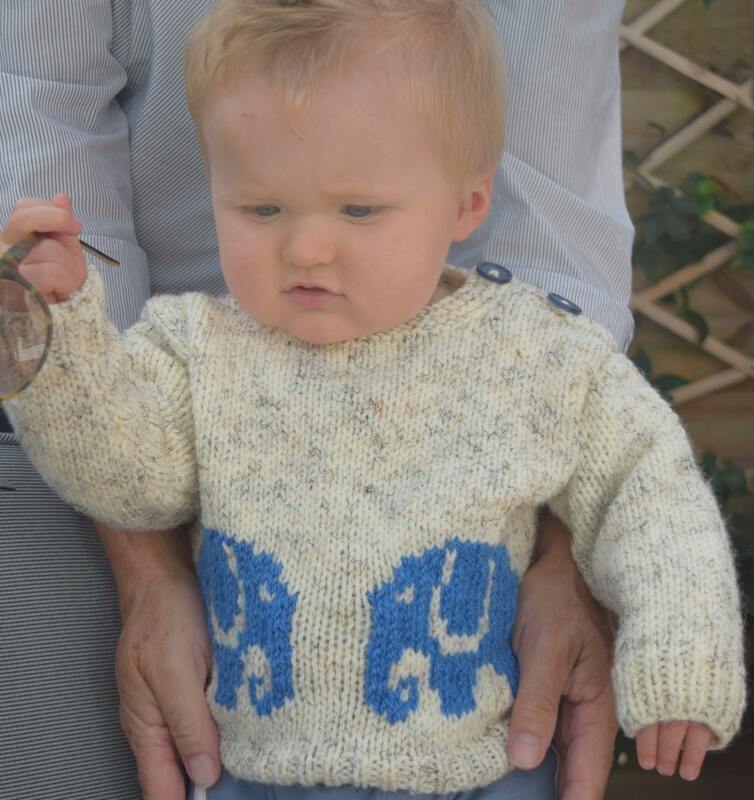 There is a wide range of Aran yarn available in lots of beautiful colours. The tension gauge is 18 sts and 24 rows to 10 cm (4 inches) over stocking stitch using 5mm needles which suits most Aran yarn so you could mix yarns to obtain the colours you desire.